Jonnne Bodin’s new novel, Orchid of the Night (see below) has been awarded the 2017 New York City Big Book Award as DISTINGUISHED FAVORITE in LGBT fiction. It was also a WINNER in the New Mexico/Arizona Book Awards in the gay/lesbian book category and placed as a FINALIST in three other categories: historical fiction, thriller/suspense, and mystery/crime. She has also had poems published in the following publications this year: Hers: a Poet’s Speak Anthology, Value: Essays, Stories and Poems by Women of a Certain Age, and All Things Jesbian, vol.1 no. Joanne Bodin Ph.D. is an award-winning author, poet, and retired educator. 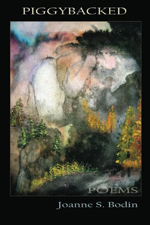 Her book of poetry, Piggybacked, was a finalist in the New Mexico Book Awards. 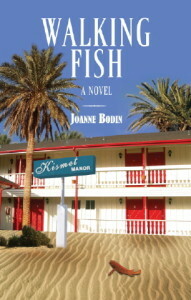 Her novel, Walking Fish, won the New Mexico Book Award and the International Book Award in gay/lesbian fiction. She is past vice president of the New Mexico State Poetry Society, and is on the boards of Southwest Writers and the New Mexico Orchid Guild. 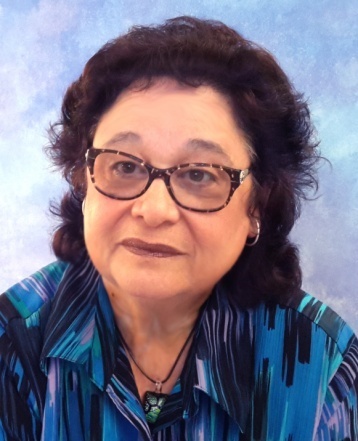 Her poetry has appeared in numerous publications including: The Rag, La Llorona Poetry Anthology, Fixed and Free Poetry Anthology I & II, Desert Sun Runner, Voices of New Mexico Too, More Voices of New Mexico, JB Stillwater Magazine, NMSPS Albuquerque Chapter Poetry Anthology, Zingara Poetry Pics, New Mexico Mercury, Malpais Review Vol. 5, No.1 and Vol. 6, No.2, The Storyteller’s Anthology, The Yes Book, Glitterwolf Magazine, The Poeming Pigeon, All Things Jesbian, Watermelon Isotope, Value: Essays, Stories, and Poems by Women of a Certain Age, Poet’s Speak Anthology, and Adobe Walls 5. Poetry has continued to be one of the driving forces in Joanne’s life. Her book of poems, Piggybacked, was written as a tribute to her late grandfather, Samuel Bodin, also a poet. His poetry, written in Russian and Yiddish, was translated into English, and some of his love poems are included in Piggybacked. Since her retirement from a thirty-four year teaching career, Joanne has continued to pursue her writing. 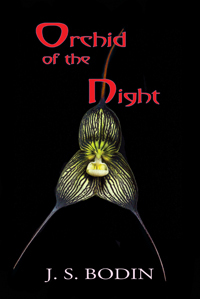 She has completed a second novel, Orchid of the Night, a physiological thriller about a man running from his troubled past who finds solace in the gay sanctuary of Ixtlan. Currently, Joanne is working on a collection of poetry and prose which deals with the Sixties generation and the New Age Movement on the west coast. She teaches writing and poetry workshops through SouthWest Writers and other venues, and does private consulting. See her website at www.joannebodin.com. Kyle’s life begins to unravel when a terrible fire consumes his aunt’s orchid estate on Maui destroying their livelihood, and killing his only living relative. Realizing that the fire was meant for him, he must flee for his life. He moves to Tempe, Arizona, bringing the only orchid to survive the fire; the Dracula vampira (orchid of the night). Finding solace in the gay community of Ixtlan, Kyle begins to heal from his troubled past, but even his new identity as Tom Tanner cannot protect him from his tragic fate. This dark psychological thriller is inspired by true events. Walking Fish is a quirky story about people from the Sixties generation living counter culture lifestyles and, like the metaphor of the walking fish, they must find ways to adapt in order to survive. Talia, an eccentric artist living in Corrales, New Mexico with her partner Renie, is suddenly catapulted into an unfolding saga that compels her to revisit her unconventional past, revealing truths that change the lives of everyone involved. This provocative, emotionally charged novel delves into the inner worlds of people grappling with painful paradoxes of life. It is about a woman reinventing herself and taking charge of her life. Piggybacked, is a collection of poems that evokes universal experiences of beauty, pain, suffering, longing, joy, mirth, dreams, nightmares, and transcends them into the unorthodox world view of the poet. With thought-provoking imagery, these poems allow us to delve into the paradoxes of our own human existence. The inspiration for this book came from the author’s relationship with her grandfather, also a poet, and their personal quests for freedom. The title of the book is an expression of ancestral ties that bind us through the generations. Impressive credentials, Joanne. Looks good!